I am 2 months into my new job (time flies! ), and this week I'll be getting new hours. No more Saturday's, and no more 10 hour days. I'll now be working 'normal people' hours, and I am so happy. I still love my job. I work in a bank call center, and for some reason they have my cubicle in the boys section. Ha! But I have been very thankful for that. They are great guys, they are funny, love to pick on me, and they keep me entertained for sure. All of my coworkers are just amazing. I have never worked with better people. When you talk to some crazy, rude people on the phone, who have no business even owning a checking account, having great coworkers to take your mind off them is a lifesaver. This girl, my precious niece, is doing amazing! 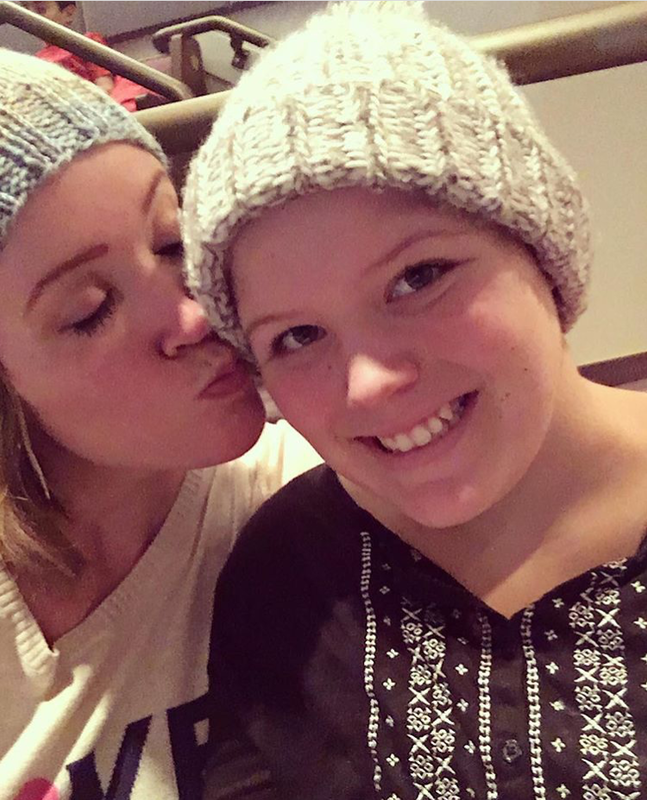 She had an MRI last week, and there is NO evidence of tumor recurrence in Kristin's body. God is so good. Her chemo will be done in the Spring and we plan on going back to Chicago to visit the friends we made at the Ronald McDonald House. I've signed up for quite a few races next year. I'm going to be doing lots of traveling! I decided next year I don't want to repeat many races, I want to do new ones. I do have 3 repeats, but the rest will be races I've never done. I've also been reading this book lately. It's hard to put down! Why am I reading such a morbid book? Because my friend Kristy and I are planning a trip to hike the Grand Canyon rim to rim! It's going to be very intense and tough, which makes me even more excited. We'll do it in 2 days, around 25 miles each day. 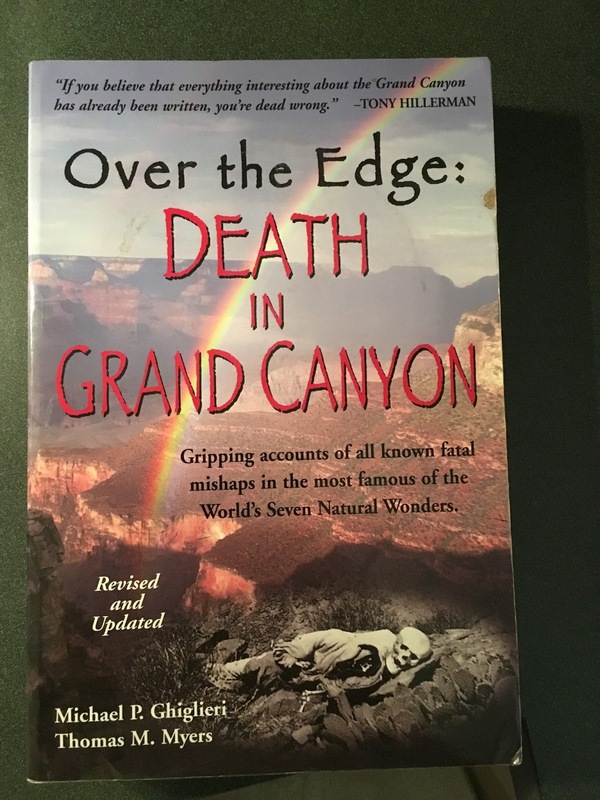 The book is really not morbid, it's just good info on things for hikers to be aware of. Cold weather and Ido not get along. 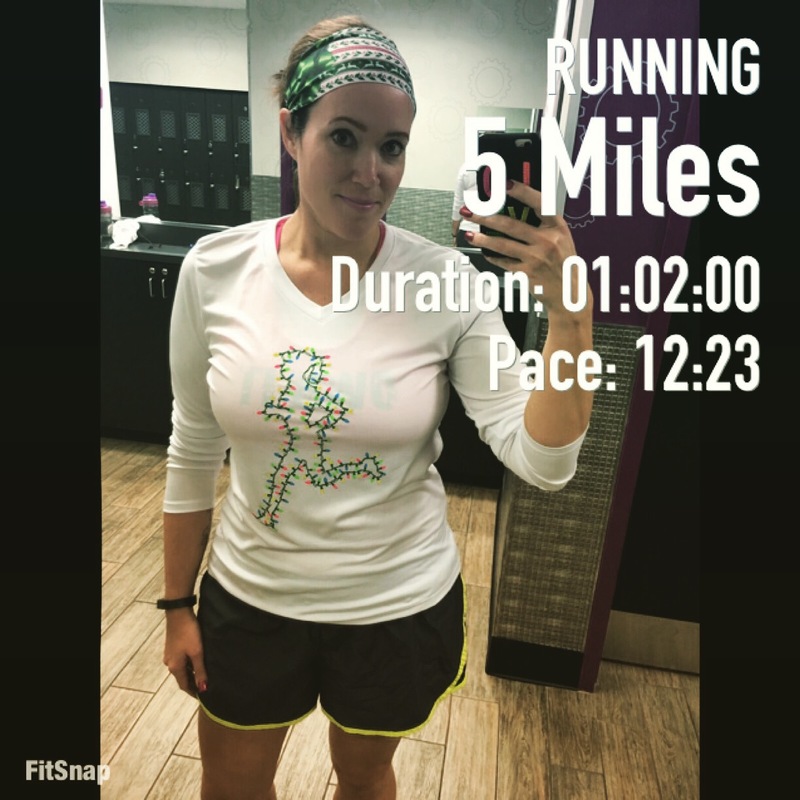 I joined Planet Fitness, so have been doing all of my running indoors lately. Since I didn't get to wear my Christmas shirt and bondi band to the race, I wore it to the gym instead. Isn't the shirt adorable?? I got it here. Anyone want to hike Grand Canyon with us? I'm so happy your niece is doing so well. Health is such a precious thing. And, omg, reading about the Grand Canyon hike makes my legs hurt. Lol. But it sounds AMAZING!! I'm excited for you and can't wait to hear about it. Love your shirt. Super cute. So happy your job is working out so well & you have good people around you. That makes such a difference. PRAISE THE LORD for your niece. That just made my day. Hiking the Grand Canyon sounds amazing! I am so scared of heights though! So glad to hear your niece is doing well! I have missed your blog the last few months have been crazy and I haven't had any time for anything! Glad to be able to read again! Heights don't bother me at all. Although I hate roller coasters! I hope things calm down for you now that your girls are out of school, right? Good to hear from you as always Jess!! Glad to hear that your niece is doing so well and that your job is going well, too. That book does sound morbid and scary for wanting to R2R2R. I hope you find it inspiring. I really want to do it with you and Kristy. Glad to know that your niece is doing good. Seems like lots of races- I know you will ace them all. So happy to hear about your niece, that is incredible news! She's a beautiful girl, and lucky to have you as an aunt! Also love that you still are loving your new job, I bet you are very excited about those normal hours and schedule!!! Hope you had a Merry Christmas and a great New Years!!! Then - very happy news about your niece! And also - Super envious about the Grand Canyon hike! We're tentatively planning to go out there at the end of this year so you'll have to be sure to post tons of photos and trip ideas. It sounds like so much fun! فترة الشرنقة، وهي الفترة التي تسبق وجود الذباب الذي نعرفه في المنازل والشوارع، وهي من أفضَل فترات تطور الذباب. فترة الحشرة: فعندما تطلع الذبابة من اليرقة، فإنها تأتي لتصبح الشكل الذي نعرفه، والذي نشاهده في منازلنا. معجزة النبي عن الذباب رغم أن الذبابة تحمل العديد من الجراثيم والبكتيريا سوى أنها لا تصاب بالأمراض الأمر الذي دعا العلماء إلى مسعى اكتشاف الداعِي في ذلك الشأن، فقد قام مجموعة من العلماء بدراسة جسم الذبابة وتركيبها الداخلي الأمر الذي نتج عنه اكتشاف وجود المضادات الحيوية داخل جسم الذبابة ذاتها الشأن الذي يجعلها لا تصاب بالأمراض من الجراثيم والبكتيريا التي تحملها على جسمها، وقد كان الشأن الغريب في تلك التعليم بالمدرسة اكتشاف العلماء أن تلك المضادات الحيوية يمكن لنا الحصول عليها حينما نغمس الذبابة بأكملها داخل إناء يتضمن على سائل، و كان قد رسول الله صلى الله عليه وسلم قد اكتشف ذلك الشأن منذ زيادة عن 1400 عام حينما صرح في عصري والدي هريرة "إذا حدث الذباب في إناء أحدكم فليغمسه كله، فإن في واحد من جناحية شفاء وفي الأخر داء"، وذلك إن دل فإنما يدل على صدق الرسالة التي أتى بها إلينا رسول الله صلى الله عليه وسلم.